By investing in a franchise business under our Fantastic Cleaners brand, you will find that the return on your investment is secure from day one. Why? Because we’ll invest in you, too! You will get full training, individual coaching with a franchisee consultant, access to easy-to-use software tools to manage your business even on the go and more. We will provide you with guaranteed jobs each week, according to your availability and schedule, so you can focus on delivering outstanding services and growing your cleaning business. Become a franchisee in Melbourne, Sydney, Perth or Brisbane! What is included in the franchise price? Regardless of which cleaning franchise package you decide to buy, you will have the opportunity to learn everything that is required to get your cleaning business up and running. From theory and practice training, helpful webinars and onsite coaching to customer service and sales training - you will feel fully equipped to provide the services of your choice. Furthermore, our franchise business model has been developed in such a way that you don’t feel overwhelmed by the extensive list of specialised services contained within the franchise package. In other words, you can start with a minimum range of services and gradually add some extra ones over time. The price also includes our full administrative support (assistance with insurance, schedule organisation, jobs lead processing and booking, guidance on operational procedures, etc. ), as well as provision with marketing materials, access to promotional campaigns, advice on equipment and supplies, and more. Our franchise consultants’ team will be on hand to help you improve your upselling and cross-selling techniques so that you can steadily increase your weekly turnover and maximise your cash flow. Read about the individual services that you can perform within our franchise cleaning packages. 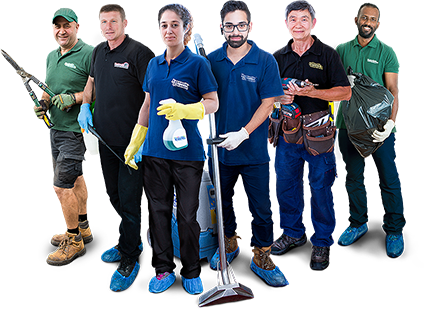 Depending on the size of your team and the equipment you have, you can specialise in various professional cleaning solutions. It will be up to you what you want to start with. With time, you will always have the opportunity to add more services to your list. This is a no-time-limited service, which is included in our 2-men and a van franchise package. You will be expected to follow closely a checklist while deep cleaning a rental property at the end of the customer’s lease. The service comes with a 72-hours bond back guarantee. Our housekeeping business opportunity comes as an individual, low-investment franchise package. A high-demand cleaning service, it is often sought after by clients with busy schedules who require regular help with their housekeeping, ironing and possibly other light chores. Once you get the professional carpet cleaning equipment, which we can assist you with, you will be able to provide carpet steam cleaning, upholstery cleaning and mattress cleaning services to domestic and commercial clients. Additionally, you can specialise in leather cleaning solutions. Don’t be afraid of the competition as the Fantastic window cleaning service is gaining a steady popularity in Melbourne, Sydney and the rest of our locations. Many clients book the service on a regular basis so you can count on a busy job schedule. The service is not charged at hourly rates. You’ll have to invest in a professional high-pressure cleaning machine, which is designed to wash various types of exterior surfaces. We can assist you with getting equipped should you decide to expand your service portfolio with this great earner. To offer this service, you’ll need a van and cleaning equipment that can deal with medium to heavy-duty contamination, associated with property construction and renovation work. Performed by a team of minimum two cleaners, the service requires dedication and attention to detail. Our one-off cleaning service is performed at hourly rates. Customers may book it before or after a special event, before moving in or moving out in the instance of selling their property. A client may also purchase the service if they require help with their spring cleaning needs. Again, a highly popular service for business clients who usually need regular assistance with the cleaning maintenance of their office premises. You’ll be expected to follow the customers’ individual requirements, depending on their cleaning needs. Most Australians would rather hire a professional oven cleaning and detailing specialist who has the right cleaning tools and supplies to get the expected results. The same applies to BBQ cleaning, which is a job in itself. An important outdoor maintenance service, gutter cleaning requires diligence, a relatively good level of fitness and willingness to use a ladder (up to two storeys). Presently, the Fantastic gutter cleaning teams perform the service manually with great results. This is another specialised cleaning service, which is not limited by time. Investment in equipment and different types of hard floor maintenance machine parts is required to provide tile and grout cleaning, stripping and sealing, or honing and polishing services. Special training and equipment are required to offer our duct cleaning solutions. Our franchise packages include the service as an additional cleaning option that you can specialise in. You will have to deep clean and sanitise the client’s duct/AC system and also deodorise it, upon request. Who is our franchise suitable for? Owners of small cleaning businesses can benefit tremendously from partnering with our popular brand. We’ll help you increase your workflow, provide you with financial support and assist you with improving your business and service skills. Make a step forward and expand your enterprise without any risks! If you have an entrepreneurial spirit, why not channel it in a successful franchise partnership with us? You don’t need any business or even cleaning experience because will teach you everything from scratch. Join the Fantastic family and secure your earnings as a franchise business owner! Invest in any of the following franchises to start your own business or expand an existing enterprise in the same field. 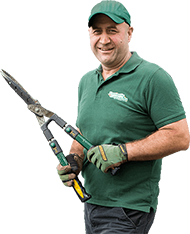 Our pest control franchise opportunities can be personalised to suit your specific business ideas and experience in the field. 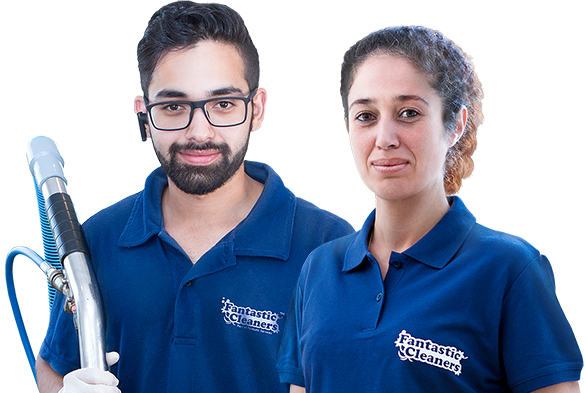 Fantastic Cleaners is part of Fantastic Services Group - a multi-service provider in the property maintenance industry sector. The company operates in Melbourne, Sydney, Perth and Brisbane, offering housekeeping and specialised cleaning services to residential and commercial clients. By joining our cleaning franchise program, you will enjoy the benefits of partnering with an established brand. You will be able to start and develop your business within a proven franchise model environment that has been created with a focus on innovation, quality, growth, mutual respect and productive partnership. Need to learn more about how to start your cleaning business?